It is anticipated that the Atmos Re DAC catastrophe bond transaction will now get issued for sponsoring Italian primary insurer UnipolSai Assicurazioni SpA, but at half the initial size and at higher pricing, as the riskier layer was pulled from the ILS market due to lack of appetite. The Atmos Re cat bond will provide broad coverage for so-called “atmospheric phenomena", snow pressure and flood risks. AlphaCat Managers has completed a $5 million private catastrophe bond transaction with Brazilian reinsurer Terra Brasis Re. 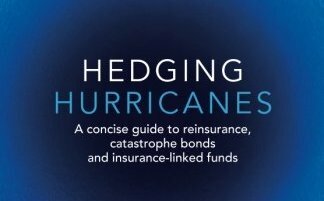 The 2019 ‘Alpha Terra Validus III’ bond is the third issuance of this pioneering arrangement covering Latin American reinsurance catastrophe risks. The 2019 notes provide retrocessional reinsurance protection to Terra Brasis Re for property catastrophe exposures, including multi-country earthquake. In the face of multiple smaller catastrophic events in 2018 and a meaningful series of catastrophes in 2017, non-life cat bond issuance remained strong, according to Willis Towers Watson. About $9.2 billion of new capital was delivered, marking the second most active calendar year ever. Of $535m in bonds issued during Q4, $125m provides protection from California wildfire liability, $200m grants peak multiperil protection, and $210m covers US earthquake (workers’ compensation). The annual dividend announced by the Markel Catco Reinsurance Opportunities Fund for its ordinary shares has dropped 52 percent year on year, according to a London Stock Exchange listing. The board said today it would pay a dividend of $0.0265 for each ordinary share, down from $0.05476 paid for each share this time last year. Markel confirmed regulators were looking into the Catco platform and its accounting of reserves in December. More than $200 billion of insured catastrophe losses in the last 18 months, loss creep from some of these events, moderating ILS capital inflows and reduced capacity at Lloyd’s are likely to resonate in 2019, according to JLT Re. Historically high levels of excess capital will nevertheless continue to weigh against these dynamics, and this has long been the dominant reinsurance pricing driver, according to the reinsurance broker. The Federal Emergency Management Agency (FEMA) has renewed for the third year a reinsurance program that transfers future catastrophic flood insurance losses to the private sector. The 2019 traditional reinsurance placement for the National Flood Insurance Program (NFIP) transferred $1.32 billion of the NFIP’s financial risk to the private reinsurance market. Blue Capital Reinsurance Holdings made a net loss of $24.9m for the fourth quarter and a net loss for the year of $28.6m. The combined ratios for the quarter and year were 308.8 percent and 191.6 percent. The increase in the combined ratio was due to a significantly higher loss and loss adjustment expense ratio related to the California wildfires and Hurricane Michael and additional estimated losses related to Typhoon Jebi, which occurred in the third quarter, and Hurricane Irma which occurred in the third quarter of 2017. Global broker and financial tech firm BGC Partners has completed the acquisition of Ed, an independent Lloyd's of London insurance broker. Ed’s broking team also includes retrocession market expertise and placements to the capital markets via collateralized reinsurance with ILS funds. 394 natural catastrophe events in 2018 generated economic losses of $225 billion, according to Aon. Of that total, private sector and government-sponsored insurance programs covered $90 billion of the total – the fourth-highest year on record. This means the protection gap, which is the portion of economic losses not covered by insurance, was 60 percent and at its lowest level since 2005. The biggest driver of catastrophes in 2018 was the tropical cyclone peril following several significant landfalling storms, including Hurricanes Michael and Florence. PERILS AG has disclosed its initial property loss estimate for the hailstorms which affected the greater Sydney region on 20 December 2018. The estimate also includes the losses from the storm activity in southeastern Queensland on 21 and 22 December 2018.